Ana holds a Bachelor in Mechanical Engineering and a Master’s in Energy and Environment from École de Mines de Nantes, Universidad Politecnica de Madrid and the Royal Institute of Technology in Sweden. 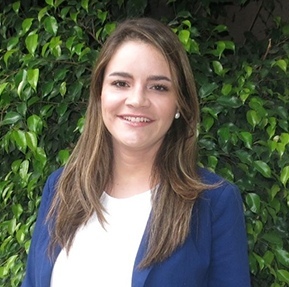 Ana has comprehensive experience in renewable energy, energy storage, energy efficiency and sustainable mobility, leading market studies, business plans, techno-economic feasibility studies, regulatory assessments, supply chain analyses and research studies for different types of clients including energy utilities, gas companies, technology manufacturers, startup companies, and policy makers at regional, national, and international level. Ana is a Colombian native and has been stationed in Belgium, Colombia, Mexico, Panama, Venezuela and USA. She has consulted in over 15 countries, mainly in Latin America and the Caribbean.